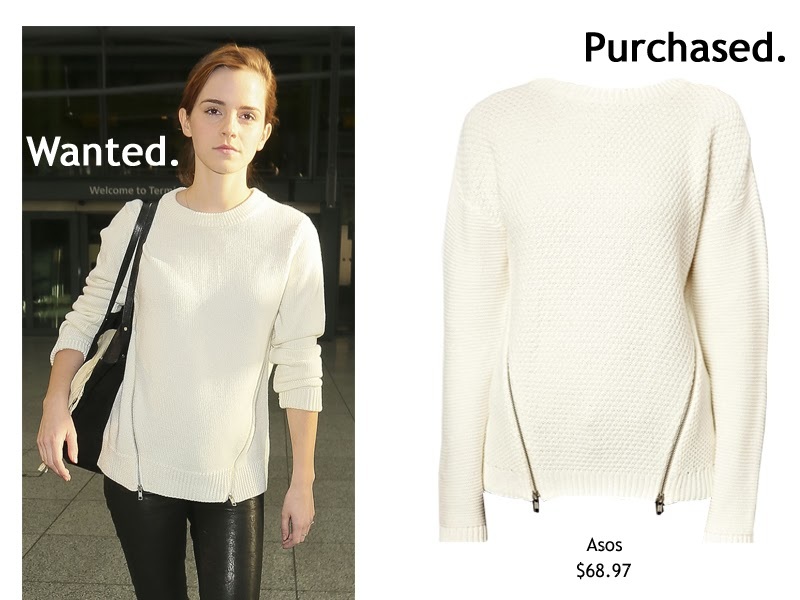 In anticipation of the Christmas holiday I treated myself to a sweater inspired by my muse Emma Watson. While it doesn't look nearly as good on me as it does on her, I'm happy to be rocking the same style. In other life updates, I've purchased a new computer! I'm so happy to be plugged in again to my blog and the internet. I decided to go with the MacBook Air because it's light and travel friendly. My new purchases are certainly a good start to this Holiday week. *Collage made by me. Photograph taken from Emma Watson Daily.